A systematic analysis of the process zone is presented. Relations among the process zone size, load and crack opening displacement (COD) are derived using the weight function method and a power function closing pressure distribution in the process zone. These relations are specialized and used to study the behaviour of the single-edge notched (SEN) specimen loaded in tension and in bending. 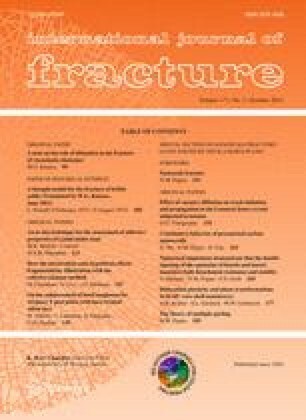 This study shows that the method presented here may be successfully used to analyze the fracture of finite-size specimens.